What is the technology behind a true omnichannel solution? The following is a guest post by Priyanka Tiwari, Sr. Product Marketing Manager at Interactions. To learn more about Interactions, visit the company’s website. Over the last few years, the word ‘omnichannel’ has been used (and overused) to describe a utopia of marketing and customer care. We all have heard and read about how an omnichannel approach solves all customer care issues and allows brands to prove their customer obsession. Then why do brands still pursue a better approach? The answer is simple: because every brand has defined ‘omnichannel’ using the best of their abilities and technologies at hand. We saw many multichannel or cross-channel solutions being called omnichannel only to be found incapable of delivering what they promised. What we needed was a solution capable of delivering a true omnichannel experience. And what differentiates a true omnichannel solution from its counterparts is the technology that empowers it. Findings Show That Only About One-Third of Respondents Felt Their Company Offered Support in All The Channels Their Customers Want to Use — A Slight Increase Over 2016 Results. PHOENIX, ARIZONA – April 3, 2018 – Advocates for customer experience professionals, Execs In The Know and COPC Inc., have announced the release of the 2017 Corporate Edition of the Customer Experience Management Benchmark (CXMB) Series. The 11th volume in the series, titled The CX Journey: Strategic and Operational Insights, provides an understanding of the current CX landscape. Specific areas of expanded exploration include channel consistency, quality programs, and CX priorities for corporate professionals. Traditional Care (phone, email, and in-person), Interactive Care (online/video chat, FAQ, and self-help), Social Media Care (Twitter, Facebook, forums, etc. ), and Mobile Care (apps, text/SMS, and mobile chat) are all explored. – Thirty-four percent of respondents didn’t believe their company had a good understanding of which channels their customers preferred, nor how these preferences differed from current channel offerings. – Interest and investment in chatbots and artificial intelligence (AI) exploded in 2017, with more than a threefold increase in the percentage of brands naming chatbots and AI as the technology of most interest and/or investment. – Only 14% of respondents felt their brands were doing a good job of providing a consistent customer experience across channels and solutions, while only half of brands (51%) had any initiatives to create greater consistency. We surveyed a number of customer service/experience leaders, from many of today’s leading brands, in our community to get their predictions for 2018. Over the coming weeks we will be releasing their thoughts on specific CX topics including customer expectations, channels, operations, technology, use case studies/data, and security/risk. Click here to catch up on Part 1 – Customer Expectations. The second installment of this series focuses on thoughts on channel choice and omnichannel digital transformation. • The continued shift to “social channels” and the need to be adept at serving customers who reach out for help in social media. • A key word is “predictive service”. Next era CX – what AI will enable? • C-Suite will begin to see the potential for revenue generation on the service side of the house with new channels and old channel improvement. • Companies must be more agile in testing and deploying new solutions and channels due to increasing competition from new market forces (e.g. Amazon). • Businesses who do not embrace omni-channel digital transformation will lose customer loyalty, their share of wallet and overall market share, to those that do. • The volume of calls will continue to grow even with the continued introduction of alternative channels of support. • Amazon will disrupt the ACD market. • IoT pervasiveness will increase call volume. • Phone channel continues to be the dominant channel for “complex” client care issues. • Many companies focusing on “demand management” initiatives to help clients self-serve, improve CSAT and reduce call volume. • Mobile Messaging/SMS and MMS. More interesting and efficient use cases for text will emerge. Companies realizing that leveraging instant photos or videos sent can help reduce conversation time. • Companies look for more true omnichannel platforms and adoption for these grow. Not just a single platform that can hook into all kinds of other technologies, but a single platform that can tie all of the conversations together, no matter what channel. • Phone channel continues to be dominant for overall customer resolution. • Companies will continue to add more channels and favor “cheaper” asynchronous (can respond at the same time) channels, like chat and text, in exchange for “more expensive ones”, like phone and email. Volumes of total communication will stay the same, but allow for brands to save money. • Two way SMS continues to lag with some brands testing specific use cases. Stay tuned next week for Part 3 – Operations. PHOENIX, ARIZONA – November 16, 2017 – Global leaders in the customer experience industry, Execs In The Know and COPC Inc., have announced the release of the 2017 Consumer Edition of the Customer Experience Management Benchmark (CXMB) Series. The report provides compelling insights into key areas of consumer expectations, opinions and perceptions in using multiple channels for customer care. Traditional Care (phone, email, and in-person), Interactive Care (online/video chat, FAQ, and self-help), Social Media Care (Twitter, Facebook, forums, etc. ), and Mobile Care (apps, text/SMS, and mobile chat) are all explored. The Consumer Edition of the CXMB series is a resource for customer care professionals, looking to enhance their customer care program, improve brand opinion, and drive customer satisfaction. The 2017 Consumer Edition is the fifth consecutive year of reporting on findings of U.S. consumers, in all age groups and geographic regions. The survey findings provide both an overview of the entire customer care experience and insights regarding specific channels, as well as two new sections about the purchase experience and customer effort. PHOENIX, AZ — (November 21, 2016) — Execs In The Know, a global network of customer experience professionals, together with COPC Inc., announce the results from their first travel industry survey, CXMB Industry Insights: Travel & Hospitality. The survey focused on the customer care experience, the purchase experience, and customer loyalty. The findings show that both leisure and business travelers are using multiple customer service channels to resolve issues. However, customer satisfaction is higher when travelers self-select a channel that they want to use rather than being forced into one. Furthermore, a consistent experience across channels is so important among travelers that it ranks higher than competitive pricing and a personalized experience. Survey participants were U.S.-based individuals traveling for business only, leisure only or both. Here are some key travel and hospitality industry findings for both leisure and business travelers. See the infographic for more details. – Business and leisure travelers still prefer to talk to someone in person or on the phone to resolve their issues. Both groups were equally open to using new channels of communications — social media, text, mobile chat and smartphone app — at 27 percent for business travelers and 30 percent for leisure travelers. – When multichannel communication is a choice rather than a forced approach for issue resolution, customer satisfaction increases. Conversely, when forced into a multichannel approach to resolve an issue, both business and leisure travelers stated a dissatisfaction rate at nearly 50 percent. – Both business and leisure travelers consider a consistent customer experience across communication channels significantly more important than competitive pricing. In particular, 60 percent of leisure travelers stated a consistent experience was important. “We are pleased to provide the results of this survey, showing how a multichannel approach to meeting customer needs can affect the traveler’s experience. For companies focused on providing excellent customer care, our findings reveal a choice of communication options is the key to customer satisfaction. Travel and hospitality brands should not only be present in the channels their customers prefer, but also need to be capable of resolving their issues through these channels,” said Kathleen Jezierski, chief operating officer, COPC Inc. This travel survey is the first in the series of industry-specific research, and is part of the larger Customer Experience Management Benchmark (CXMB) Series, also published in partnership between COPC Inc. and Execs In The Know. Download http://ow.ly/OxT3306onPG, or sign up to receive future survey results produced by COPC Inc. and Execs In The Know. Other industry-specific reports will follow in early 2017. To hear a further discussion about CXMB Industry Insights: Travel and Hospitality, join COPC Inc. and Execs In The Know on Tuesday, December 6,at 1 p.m. ET for a webinar. To register, visit http://ow.ly/yYyY306onpY . For over 15 years, Execs In The Know has built a reputation of excellence in the Customer Management Industry and a worldwide community of over 50,000 Customer Experience Professionals. 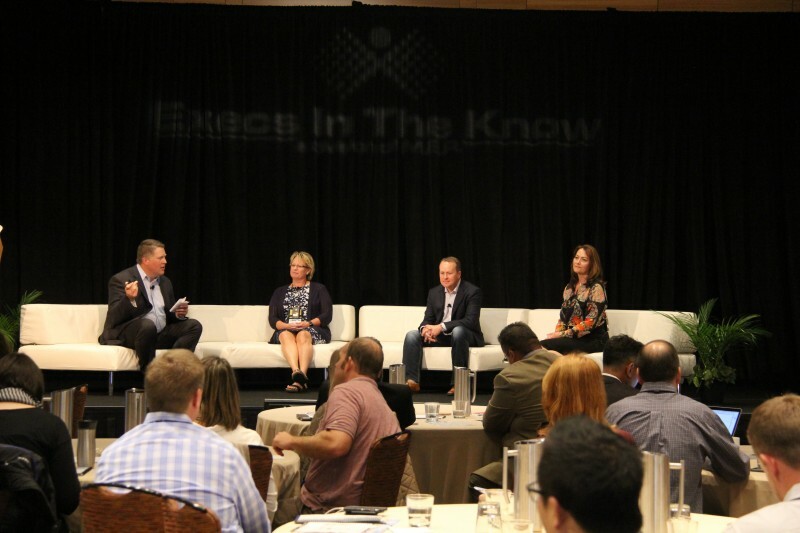 Execs In The Know connects people to engaging industry content, thought leadership, current trends, peer-to-peer collaboration, networking and industry employment opportunities. Examples of this can be seen at their Customer Response Summit events, roadshows, webinars, workshops, Blog Talk Radio segments, Industry Benchmarking Series, blogs, thought papers and social communities. 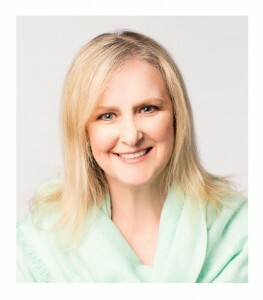 For more information visit www.execsintheknow.com. The following is a guest blog written by Amit Shankardass, EVP Marketing at Teleperformance. Learn more about Teleperformance by visiting their website. Digital disruption is on many corporate agendas right now, but what is it? Put simply, it’s when an idea or technological process changes the way that things are done. If the change is radical enough it can affect companies and even entire industries. Think of how Kodak once led the market for photographic film, yet didn’t see how digital photographs would change their industry. Digital disruption divides opinion in the boardroom. Some leaders see the opportunity and some see only threats. The very concept of your entire business model being challenged by disruptive market entrants can lead to decision paralysis because no strategies or options appear to be right. However, if you plan well and create a vision to manage digital disruption it can be exciting and empowering in the way it can reshape your business. Digital disruption often creates opportunities for companies to engage in a deeper and more meaningful way with their customers. It’s important to appreciate that in the 21st century business environment it is often your customer that dictates the rate of change – consumer technologies have created enterprise disruption. 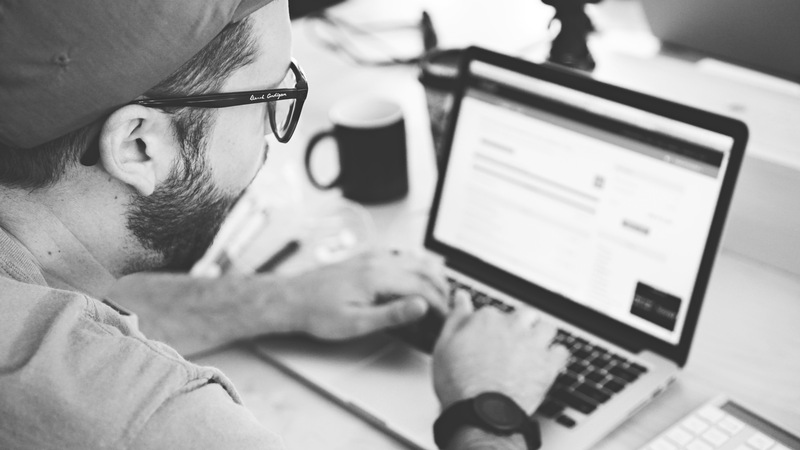 The growth of multichannel communication between customers and brands is a great example that shows just how quickly customer expectations changed. Any customer who asks a brand a question using Twitter or Facebook today will feel ignored if they don’t get a prompt answer, but a few years ago most brands were still ignoring social networks and expecting customers to call a dedicated customer support phone number. The Empowered CX – Rethinking Service for Mobile & Self-Help Panel ft. HGS, Nintendo, Expedia, and Target. The following is a guest blog written by Richard Shapiro, Founder and President of The Center For Client Retention (TCFCR). To learn more about their solutions visit their website at http://tcfcr.com/. Once again, Chad and Susan McDaniel orchestrated a stimulating and educational Customer Response Summit, this time in beautiful Seattle. The keynotes were insightful, panel discussions enlightening and thought-provoking and the attendees were always engaged. Of course, Chad and Susan know how to throw a party and every social event was fun, especially the extravaganza on Tuesday evening at the Tap House Grill. The 80’s were a great era and all the trinkets, music and dancing brought us right back to that decade. Without fail, the opportunity to network peer-to-peer was the pièce de résistance. The conference began with a behind-the-scenes tour of the Envisioning Center and Digital Crimes Unit at Microsoft. Those of us fortunate enough to attend Monday’s afternoon event were appreciative of an inside look into this major corporation. A picture is worth a thousand words. Perfect way to begin. The 1980’s, the theme of the conference, highlighted where we were and how far we have come. Chad, our exemplary MC, began the symposium with several clips spoofing customer service, including one memorable scene from the Seinfeld TV series when Jerry was told there were no cars available even though he had a reservation. Apparently, car companies don’t always actually reserve a specific car; the request is only entered into the system; making Jerry extremely frustrated. The question to the audience: has service improved in the last 30 years? It depends! The organizations participating in the Customer Response Summit are leaders in their industries. Every participant wanted to learn, share and brainstorm with the Best in Class so their company can improve and provide exceptional service across every channel. PHOENIX, AZ. September 10, 2015 – Execs In The Know, advocates for the Customer Service Professional, have announced their speaker line-up for Customer Response Summit Seattle, taking place September 28-30, 2015, at the Hyatt at Olive 8, in Seattle, WA. Customer Response Summit Seattle is an intimate, laser focused forum, providing outstanding opportunities to directly engage with some of the brightest minds in customer leadership. The strength of the forum lies within the innovative design of informative sessions, relevant industry tours, specialized networking opportunities, and dynamic extracurricular activities all centered on one thing – customer service excellence. 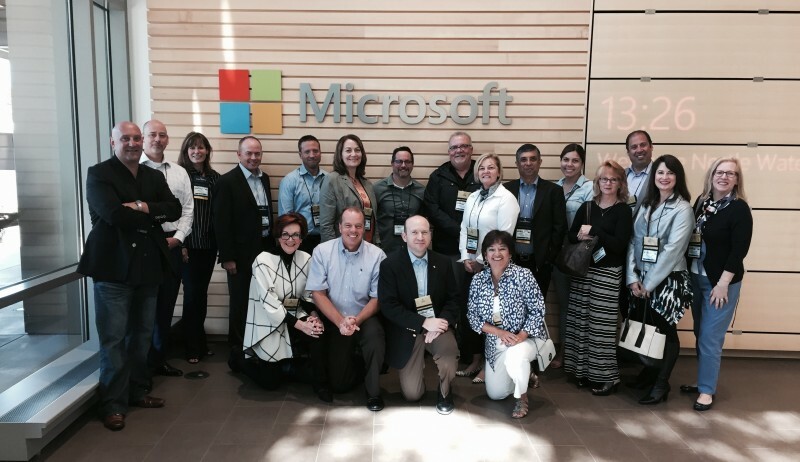 Highlights of this Summit include a behind-the-scenes tour of the Microsoft Headquarters of the Envisioning Center and the Digital Crimes Unit, the release of the Customer Experience Management Benchmark Series 2015 Consumer Edition Report, and a Post Summit Workshop, hosted by Execs In The Know and COPC Inc. that will examine the findings of the CXMB 2015 Consumer Report in detail. WINTER PARK, FL and PHOENIX, AZ — August 19, 2015 – Leaders in the customer experience management (CEM) industry, COPC Inc. and Execs In The Know, global network of Customer Management Professionals, have announced the release of the Customer Experience Management Benchmark Series (CXMB) – 2015 Consumer Edition Summary titled, “The Consumer’s Perspective: Exploring Multi-Channel Customer Care”. WINNIPEG, MANITOBA. April 22, 2015 – Execs In The Know, advocates for the Customer Service Professional, have announced two new additions to their 2015 Advisory Board. LeAnne Crocker, Director – Global Reservation Operations Design and Learning Communications at Hyatt, and Scott Shute, Vice President of Global Customer Operations at LinkedIn, will join the 11 Customer Service Leaders that currently sit on the Advisory Board.